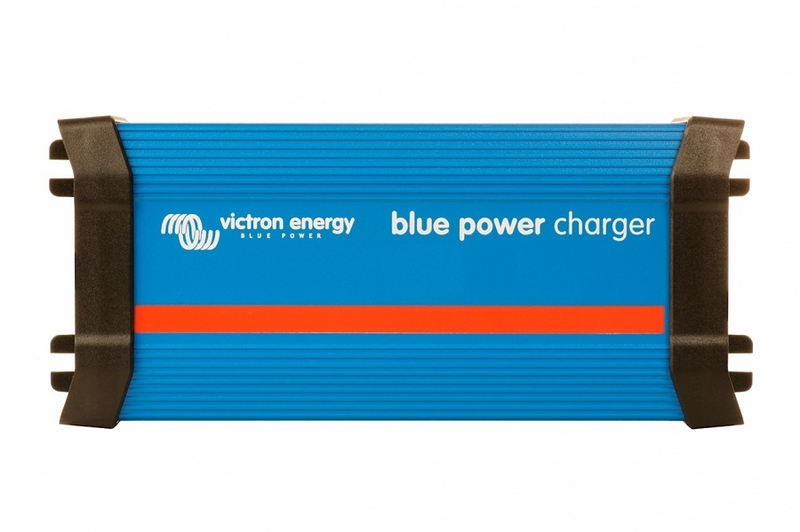 All the battery chargers shown here are "Smart" chargers capable of delivering a three stage charge to a battery bank in such a way that the battery does not get overcharged. 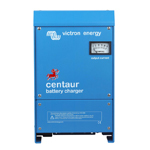 Their output is regulated by electronic circuitry that in many cases is programmable for different battery types. 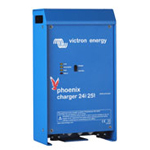 Some chargers can also modify their charge voltage with temperature and a few can also give an equalization charge. 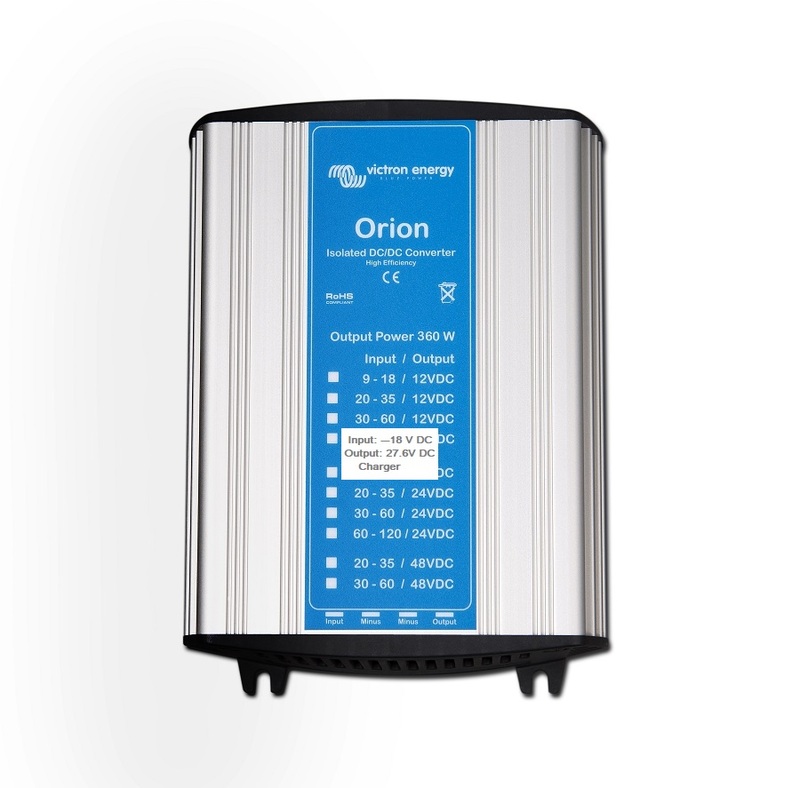 Many chargers, including all those in the grid below, can accept a universal input voltage making them suitable for use throughout the world. 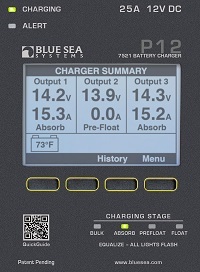 The battery charger display shown on the left is from the Blue Sea Systems P12 Chargers. 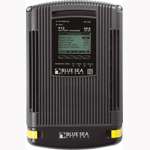 The display can be set up to read in five languages and allows the operator to program and monitor every aspect of the chargers operation. Progamming allows the user to select battery type, modify the standard program as desired, control fan operation, equalization charge, absorption timing, backlighting level for the display, system status and historical data. Read my blog post on how to size a battery charger for a sailboat.